And I use the term “recipe” loosely here because really, there’s nothing to this. I debated even posting it because it’s so simple but then I realized that really has nothing to do with anything. Let me explain. For years, our family has been frequenting a little Italian restaurant in Tallahassee. It’s the kind of place that seemed to always be reserved for special occasions even though it really wasn’t that fancy (well, it was for Tallahassee). I distinctly remember having dinner the night of the 1992 presidential election in the upstairs of Anthony’s with our whole family – Nana and Granddaddy included. Since it was a Tuesday in early November and we were at Anthony’s, I imagine we were really there to celebrate mom’s birthday. I remember looking over at the bar and seeing images of Bob Dole and Bill Clinton and asking around the table who voted for whom and why. I laugh at the mock election held at school that day and that my candidate, H. Ross Perot, didn’t manage to pull out a victory in our 6th grade class. That was the first time I learned that one of my best friends, Will Fixel, was a democrat. Fast forward 8 years and we’re back at Anthony’s again. Celebrating mom’s 55th birthday. I had flown home from spending a semester abroad in Paris so I could be there for the celebration. My cousin, Perry, who was also in and out of Paris at that time had come into town too. As did my aunt and uncle from San Francisco. We pulled out all the stops because even though we didn’t want to acknowledge it, we knew this would be the last birthday we’d have with mom. We had a great time. In the last few years Anthony’s moved locations in town and re-branded itself but managed to keep one thing on the menu through the transition: lavosh. 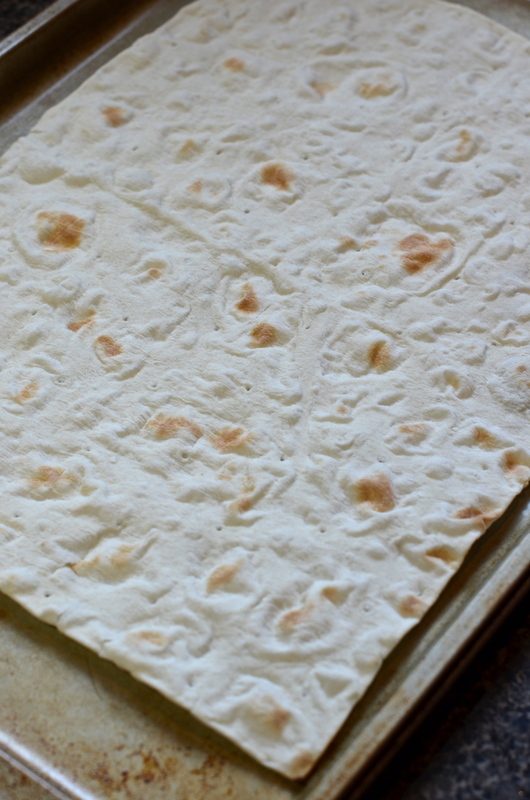 Or lavash. It’s odd how many memories can be crammed into one tiny little snack. I know my sister-in-law loves this stuff. Although we’ve brought her along over the years, she wasn’t always an enthusiastic eater like us – except for this. Wendy can put away a lavash. I shared it with my grandparents and my mom. I celebrated birthdays and preempted Proms over this ridiculously simple dish. And isn’t that what food is all about? About tasting something and remembering something you forgot? About feeling something familiar and authentic? I think it is. So, although it’s simple, I thought I should share it with you because I have so many memories wrapped up in what really only amounts to a giant cracker covered in cheese. *Armenian flatbread (I found it at the Dekalb Farmer’s Market but think you can find it now at most grocery stores, marketed for wraps. Start off by preheating your broiler. 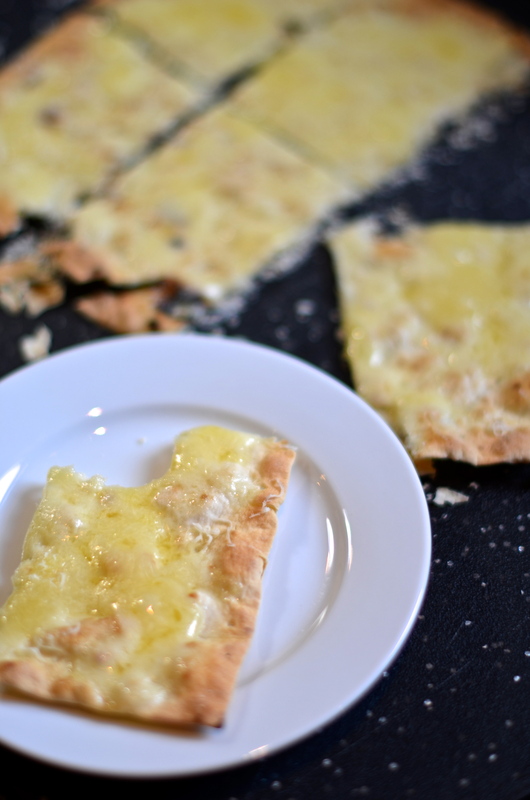 Grab a sheet pan and place a piece of the lavash on top. Pop that under the broiler, flipping it halfway through, until the flatbread begins to crisp up but doesn’t brown. I think this took me about 2 minutes per side but you should just keep an eye on it. 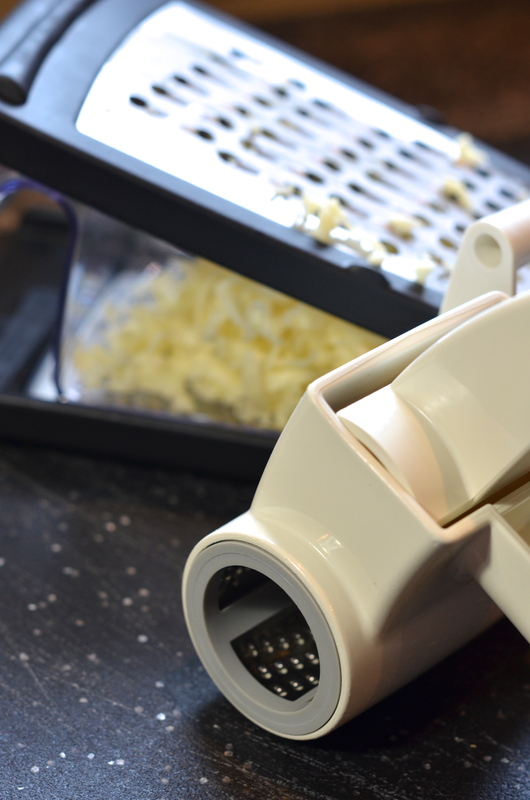 While that’s happening, prep your cheeses. I didn’t put amounts in the recipe because it’s not really that important. 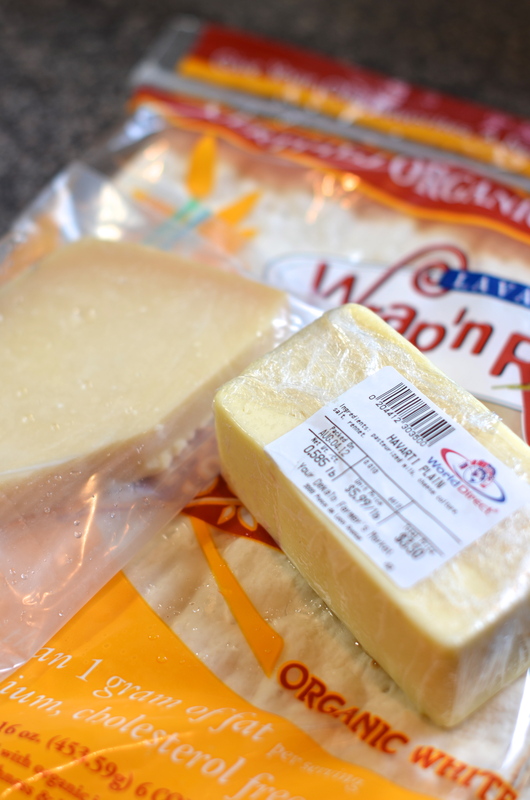 I suppose for one of these, I ended up grating about 1/2 cup of Havarti and maybe 1/4 cup of Parmesan. 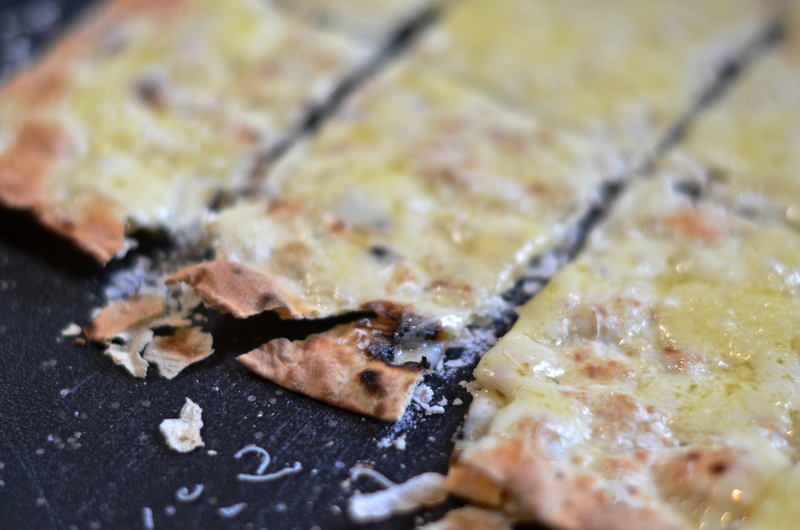 When the lavash has crisped up, pull it out of the oven and top with the Havarti. 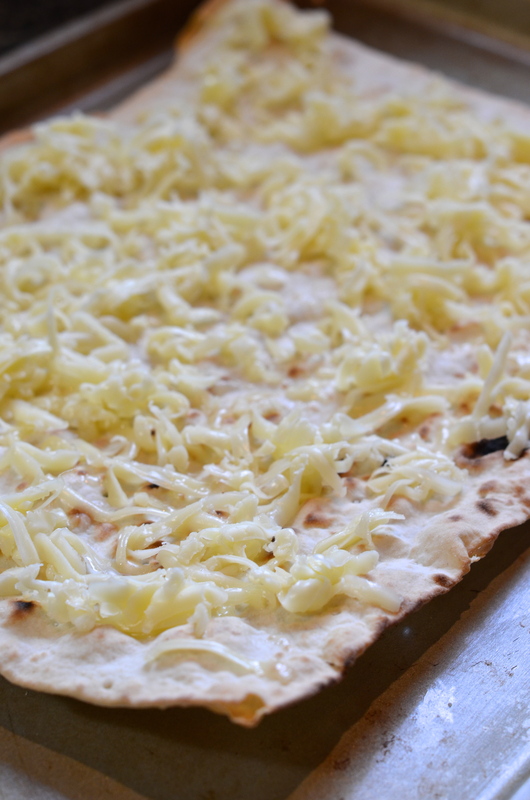 Place it back under the broiler to get the cheese nice and bubbly and add a bit of color to everything. Once it’s the color you like, pull it out and slice it into 12 – 16 pieces. I used my pizza cutter. Go make a memory on me. I knew we were kindred spirits, but this just seals the deal (I feel like I may have written that in a comment on this blog before). This is one of my family’s favorite dishes, too. We’ve never been to Anthony’s, but there’s a place in Sarasota that has a similar preparation, and a place in Nebraska (Lazlo’s, which is where my mom first had it, and brought the “recipe” back with her when she returned – we had it there when we were out west this summer). Now to head out for some lavosh and havarti so I can make this, post haste. Tout de suite. Immediately. I love it! That makes me so happy! I really didn’t know if anyone else knew about it. I love that you’re my friend. This is my favorite kind of thing to eat when I’ve been out drinking. When I used to have roommates (real roommates, not just the husband), I’d make something similar after a long night. It’ll fix you right up! I never even thought of that! I always went straight for “taco snacks” (i.e. quesadillas made right on top of the gas burner for immediate satisfaction).